We picked up our Jucy around 10 a.m. and brought it home, packed up our things and headed out after school, around 3 p.m. I would recommend leaving a little earlier as we arrived at Cachuma Lake Recreation Area around 6:30 and would have liked to have a little bit more daylight to set up and enjoy the camp. 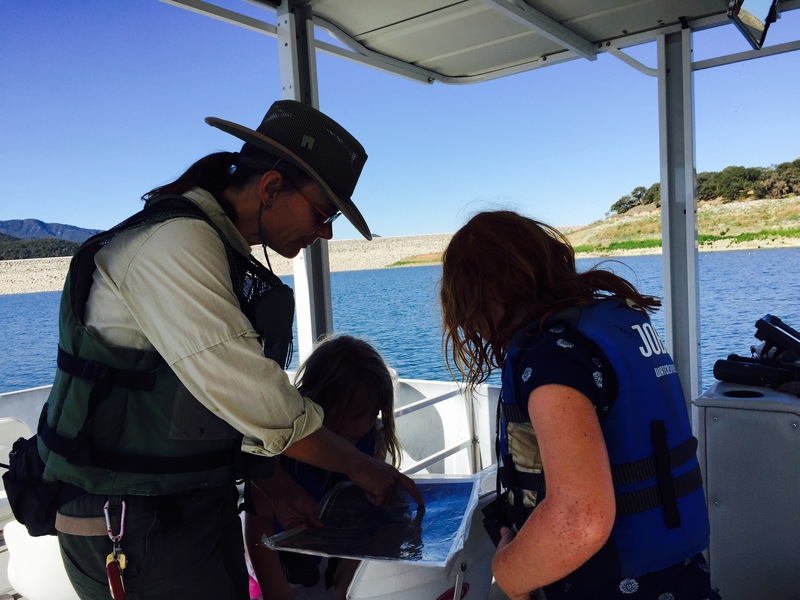 We visited the Nature Center at Cachuma Lake and did the boat tour of the lake for some great wildlife spotting. We saw a red-tail hawk, a lot of swallow nests as well as grebes racing on the lake. Lunch was at Chomp in Solvang, which is an adorable Danish village in the Santa Ynez Valley. 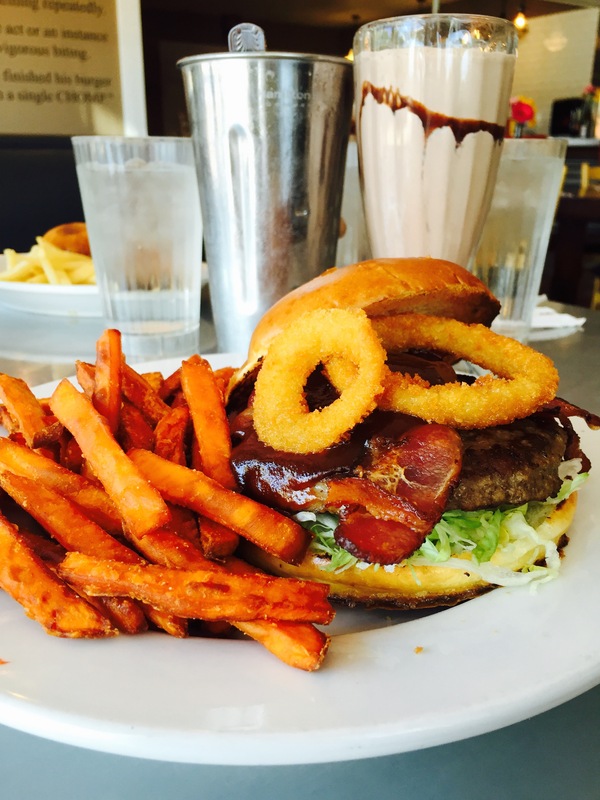 Chomp is the perfect spot for family dining with delicious burgers and fries for both kids and parents. 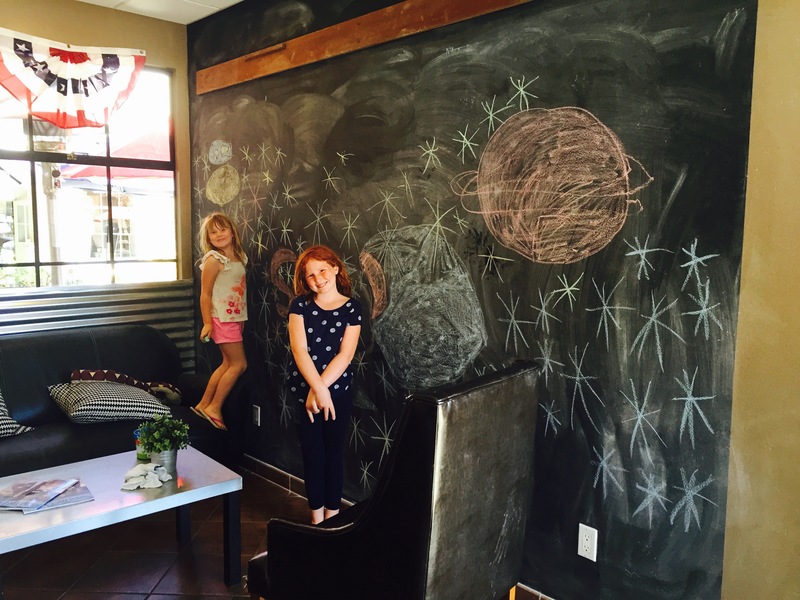 There’s a giant blackboard sure to keep the kids entertained if you have to wait for a table. We recommend ordering one of their classic milkshakes which are fantastic and so large there was some left to take with us on the ride to Pismo Beach. 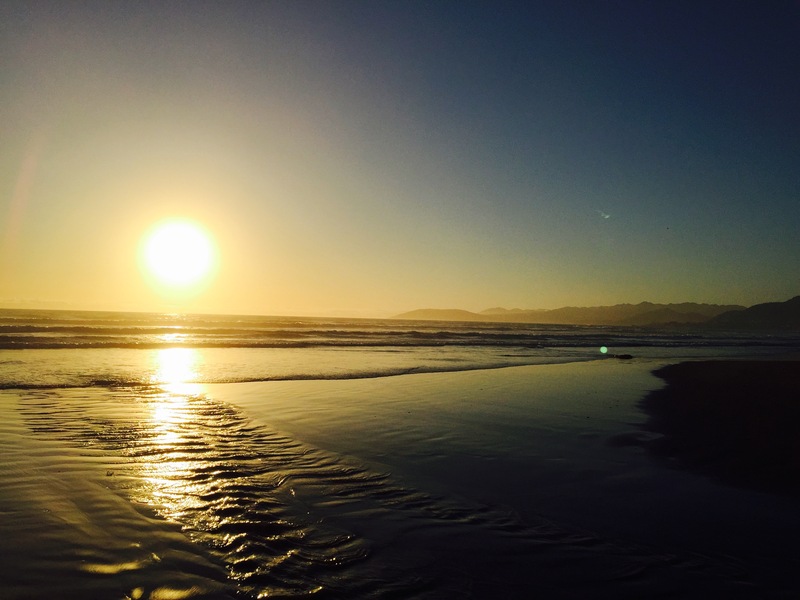 It takes less than two hours to drive up to Pismo and we arrived mid-afternoon to Pismo’s North Beach Campground. If you are here during monarch butterfly season, the monarch grove is to the left of the campground. Get a spot on the left-hand side close to the beach and you can take a short walk to the shore for a perfect sunset. After lunch in Pismo Beach, we headed for ice cream in downtown San Luis Obispo at Batch — they serve homemade ice cream sandwiches. Then we strolled by the bubble gum wall, a must-see but kind of makes your stomach turn. Put up your own chewed gum at your own risk. Next stop — ziplining with Margarita Adventures. 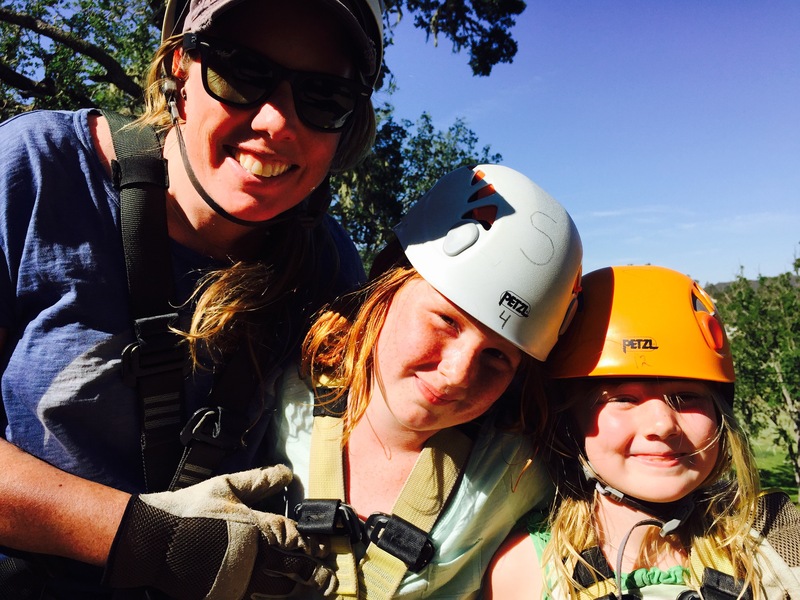 This five-line zip over the Santa Margarita Wintery is definitely worth the trip, especially for families with small children. My sometimes trepidatious 6-year-old loved the zipline and the rest of us found each one exhilarating. We followed up our adventure with a wine tasting across the street. Try the rose, it’s delish. We camped at the Wine Country RV Resort, which is clean and has fantastic facilities as well as a swimming pool. However, in our tiny Jucy camper, we felt a little out of place. 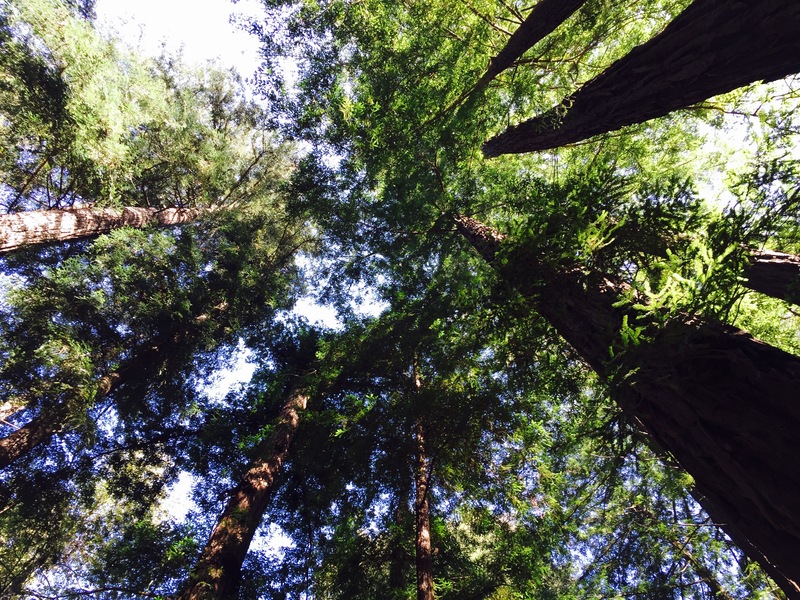 A great alternative is a drive to San Simeon and stay at the San Simeon Creek Campground just south of Hearst Castle. 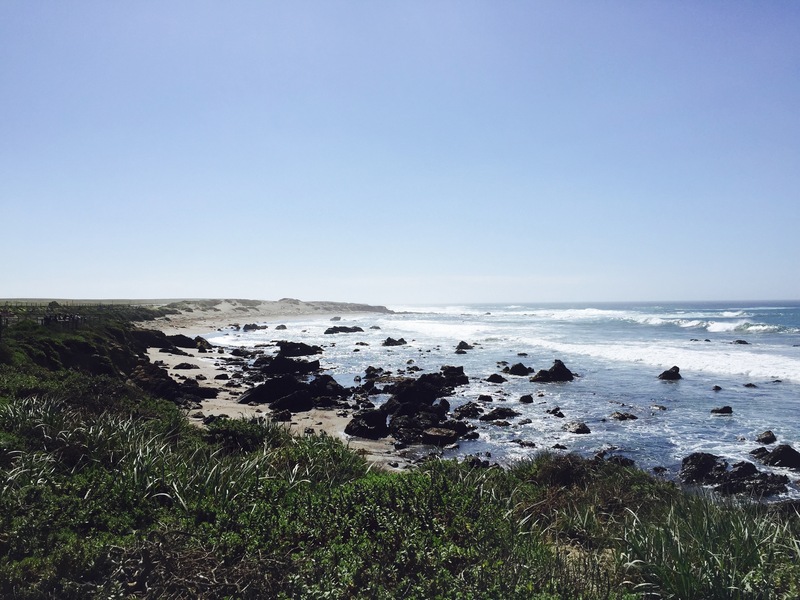 We drove up the stunning coastline between Cambria and Big Sur. Leave early so you have time to picnic, snack and stop at all of the beautiful spots along the way. 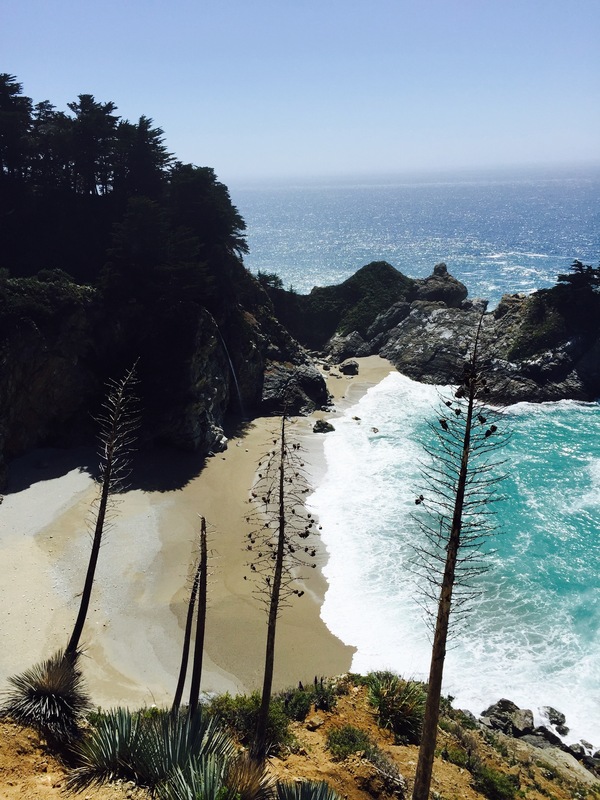 I recommend stopping at the elephant seals for a short walk, grabbing a snack at Ragged Point, hiking and eating a picnic lunch at Julia Pfeiffer Burns State Park. There are fabulous state campgrounds along this drive that are all amazing. Kirk Creek is our favorite with stunning views of the sea below and a couple of fun hikes. Watch out for poison oak. Other options include Plaskett and Limekiln campgrounds. 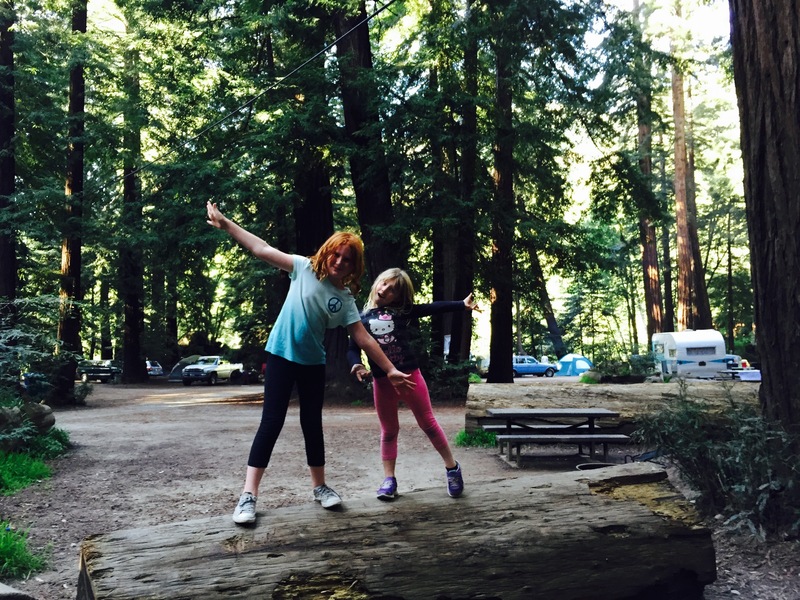 We made the whole drive that day and stayed at Big Sur Campground & Cabins, an idyllic little spot buried in a redwood forest and located along a small river with tubing and a giant playground. Day 4: Big Sur, Monterey and Home. We wrapped our journey with a trip to Monterey Bay Aquarium and then headed home. Definitely buy your aquarium tickets in advance to avoid a long line and arrive early to avoid the crowds. Yosemite is a fun place to visit for Thanksgiving. Photo courtesy of Guy Francis. In Southern California, Thanksgiving is usually too early for powder skiing but too late for swimming at the beach, so where does one go for a local Thanksgiving break? Of course, I aksed my very opinionated kids – Disneyland. “But it’s crowded,” I said. “We will only go on one ride,” they answered. “Ya, right,” I thought. I love Disneyland, and I love the magic in my kids’ eyes when they go there. It is, after all, the penultimate weekend getaway for families with kids in Southern California. In fact, fall is one of my favorite times to visit Disneyland. But if Disneyland isn’t in the cards or you want to avoid crowded amusement parks, here are a few magical alternatives. While the falls might not be raging, Yosemite can still be an awesome place to visit in November. 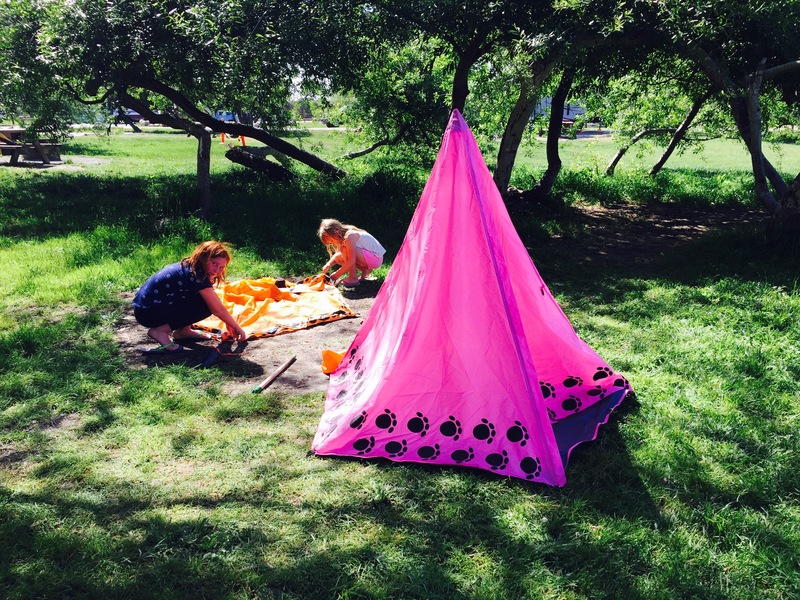 It’s ideal for families looking for smaller crowds and more isolated hiking paths. 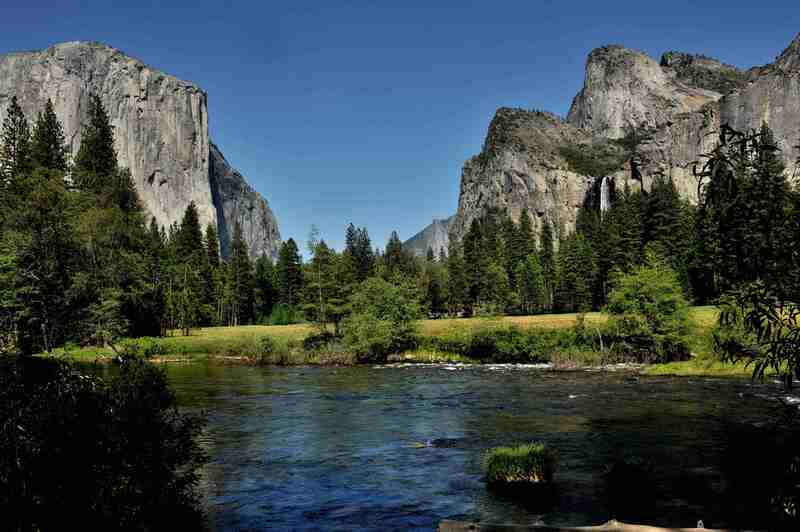 Especially if you are a California native, a weekend in Yosemite during Thanksgiving break can offer the brood a brisk adventure – and if you live in the San Fernando Valley, like me, it can offer some much-needed chillier weather. That being said, the weather is somewhat unpredictable – it could be snowy or it could be fairly dry – so be prepared for any type of adventure. And for those who don’t plan on cooking at home, there are several options for Thanksgiving meals at The Awahnee, Yosemite Lodge and the Wawona Dining Room. Tenaya Lodge, located just outside the park, also offers Thanksgiving dining as well as holiday activities such as gingerbread house decorating, a Christmas tree-lighting ceremony and sleigh rides, weather permitting. I love the historic charm of downtown San Luis Obispo and nothing gets me in the holiday spirit more than the cozy weather of California’s Central Coast (obviously, I must be a Cali native). So, heading to SLO for a few days to escape the L.A. smog and bask in the crisp coastal air is my idea of heaven. It also doesn’t hurt that there are some cool local events nearby to go along with the visit such as the Holiday Craft Bazaar in downtown Paso Robles on Nov. 28 as well as a tree-lighing ceremony with Mrs. Claus herself at the bandstand at 5:30 p.m.
With the drought in California, who knows if Thanksgiving will be a banner year an Mammoth Mountain for skiers. But it’s never a bad idea to beat the holiday heat in L.A. with a trip to the Eastern Sierra. And who knows, maybe those desperate to hit the slopes can get in some turns before Black Friday and also take advantage of early-season booking rates. At my daughters’ school they tried for almost a year to host Space Night but, in possibly a first for Los Angeles, it was cloudy and rainy every time — even in the early fall and late spring. Big Bear, Calif.’s recently announced astronomy festival — the StarLight Festival — sounds like it will more than make up for it — and be a fun way to get kids excited about space, science, the atmosphere and the stars. The StarLight Festival event, organized by AstronomyOutreach network, takes place in Big Bear Village Saturday, May 24 and Sunday, May 25, 2014. It’s a cosmic festival for all ages that combines science and astronomy with art and music to create a fun atmosphere that is both educational and entertaining. Some of the highlights of the event include guest speakers and panelists from NASA and Jet Propulsion Laboratory (JPL), lectures about current space programs, opportunities to tour the Big Bear Solar Observatory, “sidewalk” astronomers, STEM educational activities, major manufacturers display the latest and greatest scientific equipment, intergalactic-style art exhibits, live music, and thousands of dollars in door prizes. The StarLight Festival is Saturday, May 24 from 10 a.m. to 12 midnight and Sunday, May 25 from 10 a.m. to 5 p.m. in the Big Bear Village. Lectures and panel discussions are held at The Cave and Northwoods Resort. 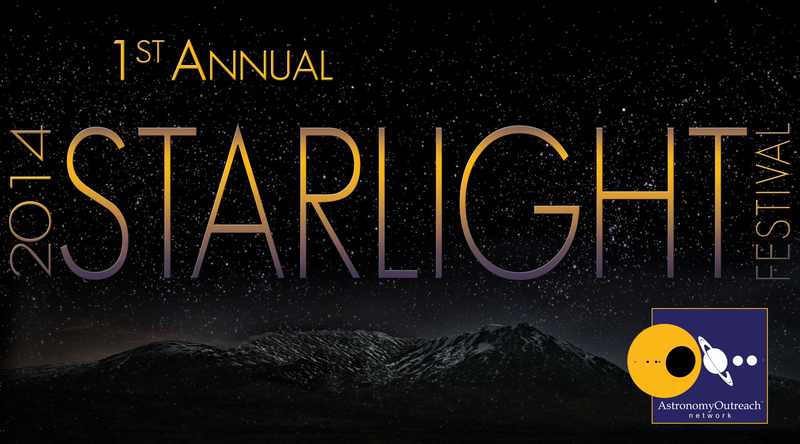 Admission to the StarLight Festival is Free. RTMC Astronomy Expo is from Thursday, May 22 to Monday, May 26. Admission to RTMC Astronomy Expo is $25 for adults, $12 for kids ages 5-13, and kids under five are Free. For details about the StarLight Festival including a schedule of events visitwww.starlightfestival.com. For more info about RTMC Astronomy Expo visit www.rtmcastronomyexpo.org. For all there is to see and do in Big Bear, make lodging reservations or request a free Visitors Guide log on to www.bigbear.com or call 800-424-4232. I am so happy to hear that one of my favorite ski destinations is celebrating 60 years and that June Mountain will be reopening this season. With so much going on in Mammoth this year, it makes me wish we had purchased season tickets. Regardless, we will definitely be spending a lot of time in the Eastern Sierra when the snow starts to fall…Let the condo searching begin. 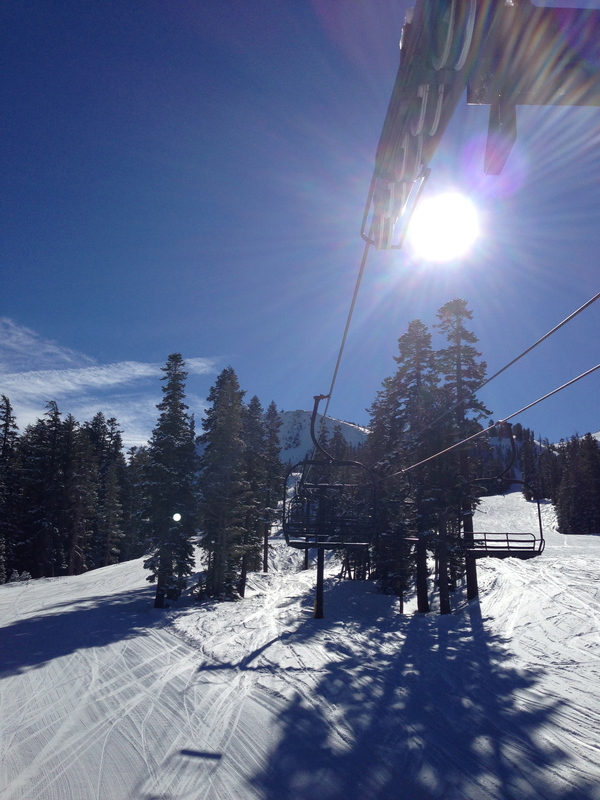 In addition to the reopening of June Mountain, Mammoth’s winter air service now includes L.A., San Diego, San Francisco and Orange County. The mountain will also be a training ground for U.S. Freeskiing and U.S. snowboard teams, which means that youngsters heading to the mountain have a chance to see some amazing athletes in action – it also means that Unbound and Adventure Zones will be in top form. Guests will have an enhanced experience at the Mammoth Mountain Inn as well as new culinary adventures. Both foodies and winter sports enthusiasts alike are treated to an array of new options including celebrated chef Mark Estee’s CAMPO restaurant in The Village at Mammoth. Estee’s original CAMPO, located in Reno, was recently named one of Esquire’s best new restaurants in America. The Lakefront Restaurant has a new chef as well and has partnered with local, organic farms to offer a new seasonal menu. Late-night entertainment will also be renewed with the opening of the Underground Lounge. Music is the focal point of the Lounge, which accommodates a live music venue along with a bar, lounge, and VIP area. A contemporary menu features signature cocktails and Provencal comfort food highlighted by “tappatizers,” Chef Frederic Pierrel’s unique blend of tapas and appetizers.